Edwards, P.C., ‘Redemption in the land of archaeological sin: great excavators in the Middle East during the 1920s’. Buried History 49 (2014): 23-36. Young, C. “Inside Gaddafi’s Libya: Photographing Lepcis Magna in the 1970s and 1980s,” Pegasus, Issue 56, 2013, pp.31-39, the Journal of the Department of Classics and Ancient History, University of Exeter, UK. Derricourt, Robin, Inventing Africa: history, archaeology and ideas, London: Pluto Press, 2011. Derricourt, Robin, “Pyramidologies of Egypt: a typological review”, Cambridge Archaeological Journal 22 (3), (2012), 353-363. Derricourt, Robin, “Pseudoarchaeology: the concept and its limitations”, Antiquity 86 (332), (2012), 524-531. Derricourt, Robin, “Raymond Dart and the danger of mentors”, Antiquity 84 (323), (2010), 230-235. Derricourt, “Patenting hominins: taxonomy, fossils and egos”, Critique of Anthropology, 29, (2009), 193-204. Derricourt, “The enigma of Raymond Dart”, International Journal of African Historical Studies, 42 (2), (2009), 257-282. Guha, Sudeshna, ‘Civilizational Heritage and Archaeological Practices within South Asia’, in C. Sandis (ed.) Cultural Heritage Ethics: Past Achievements and Present Duties (forthcoming Open Book Publishers 2013). Guha, Sudeshna, ‘Heritage, Archaeology and the Indus Civilization’, in D.N. Jha (ed.) R.S. Sharma Commemoration Volume, Parts I and II (forthcoming, Manohar, Delhi 2013). Gupta, Neha. 2013. Cultural continuity, identity and archaeological practice in the Indian context. In Human Expeditions: Inspired by Bruce Trigger, S. Chrisomalis and A. Costopoulos (eds. ), pp. 102-115. Toronto: University of Toronto Press. Sveshnikova Olga Review of Leo Klejn’s autobiography Hard to be Klejn: an Autobiography in Monologues and Dialogues is in the Cambridge Archaeological Journal 23:2 (2013): 342-343. Carruthers, W. 2011. The rise and fall of ancient Egypt? Egyptology’s never-ending story. Antiquity 85 (330), 1444-7. Harlan, D. 2011. The Cult of the Dead, Fetishism, and the Genesis of an Idea: Megalithic Monuments and the Tree and Pillar Cult of Arthur J. Evans. European Journal of Archaeology 14 (1–2), 210–230. Harlan, D. 2011. British Lancastrian Schools of Nineteenth-Century Kythera. Annual of the British School at Athens 106(1), 325-375. Sveshnikova, O. 2011. Soviet Archaeological Expedition as a Research Object. Bulletin of the History of Archaeology Vol. 21, No. 2, 2011, 4-9. Many of these can be viewed on the members’ academia.edu pages. 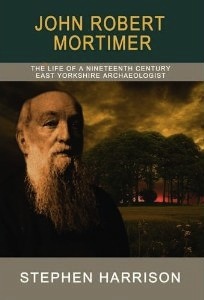 A NEW BOOK FROM THE BLACKTHORN PRESS: J. R. Mortimer, the life of a nineteenth century East Yorkshire archaeologist by STEPHEN HARRISON. The story of John Robert Mortimer (1825-1911) encompasses both the beginnings of archaeology as a scientific study and the details of a life lived entirely in one small corner of the East Riding of Yorkshire. During the second half of the nineteenth century archaeology made the transition from antiquarian pursuit to fledgling academic discipline. Mortimer, a corn merchant from Driffield, was of central importance, laying many of the foundations on which the subject came to be built. He devoted most of his adult life to the systematic and careful examination of large numbers of prehistoric burial mounds and other ancient features on the Yorkshire Wolds, eventually becoming a nationally recognised authority on the subject. Self-educated, his techniques became those used by modern archaeologists, his collection of artefacts and his writings still providing an invaluable resource for understanding the county’s prehistoric past. Yet his story has never before been told, his importance as a leading and pioneering archaeologist little known. This comprehensive account of his life helps to explain why this should be. It presents Mortimer as a nationally important archaeologist using his researches to understand the lives of prehistoric peoples, his view, widely held today, that by understanding the past we understand ourselves. Means, Bernard K. 2011. Archaeology and the New Deal: How Roosevelt’s ‘Alphabet Soup’ Programs Continue to Influence Archaeology Today. Archaeology Projects Across the Lower 48 States. 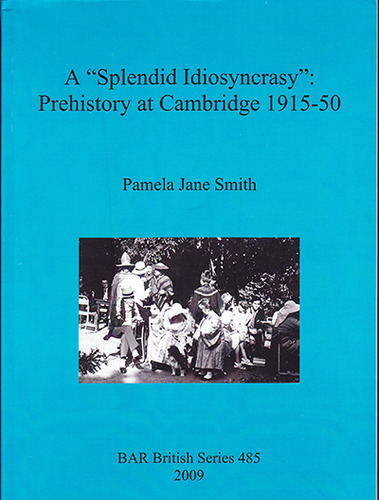 For those of you on facebook, Pamela has a new site about her recent monograph on the study of prehistoric archaeology at Cambridge. Check it out!